Irish retailers in border counties have told Retail Excellence, Ireland’s largest retail representation body, that they are bracing themselves for more in the recent spate of ATM thefts. 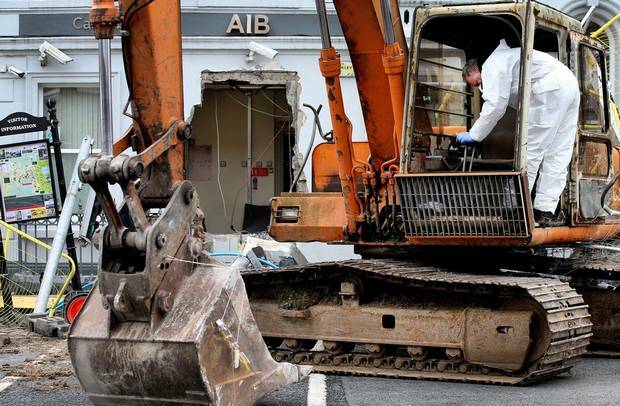 Eight ATM robberies involving diggers and trailers have been perpetrated on both sides of the border so far in 2019, 11 in the last 12 months, with towns in Monaghan and Cavan targeted. David Fitzsimons, CEO of Retail Excellence, conveyed the anger of member retailers. “It seems that we are hearing of another ATM theft almost on a daily basis at this stage, of another business targeted and destroyed, and vital services taken away on which many local people rely. These criminals are physically gouging out huge holes in banks and filling stations, but they’re also tearing apart dependent businesses and retailers. “We welcome the comments last night from Justice Minister Charlie Flanagan that all resources will be provided to the Gardaí. Retailers in border communities want assurance that everything is being done to co-operate with PSNI to stop this scourge on already hard-pressed towns and villages. “This is emphatically not a victimless crime. Such criminal activities bring people face-to-face with organised crime or terrorism. These are clearly dangerous people that don’t care about property damage or the effect that their activities have on people. The danger is that the digger will be set alight at a filling station, putting neighbouring homes and businesses at peril. “Without doubt, this spate of robberies puts the viability of retail at risk at a particularly difficult time. The livelihoods of the business owners who have worked for years to build up their businesses is jeopardised. A further concern is that spiralling insurance costs could ultimately put them out of business. “We’re talking about an estimated €70,000 taken from one ATM robbery, the impact of which is to take money out of consumers’ wallets. You can be sure that there’ll be little shopping done the following day in the local town, spend on discretionary items will be down, and coffee shops will be quiet. “These are small, rural family-owned retailers that are struggling and have taken years to build up their businesses. With all the best security in the world, there’s little they can do to defend themselves from the sort of destruction that we’ve seen from CCTV footage. The destruction done to the fabric of the buildings will mean their businesses are put out of action for months. Then do they take the risk and cost of replacing the ATM in future?